Twilight Crit Series Final Standings. After 6 weeks of exciting racing in the Twilight Criterium Series we can reveal the final standings in the series. Riders best 4 race results from the 6 race series counted towards the overall standings. A new addition this year was the Bakers Delight Sprint Primes attacking bonus points that counted towards the individual’s final point’s telly. After very consistent performances in all races, including a couple of wins, Travis Edwards finished the series in first place. 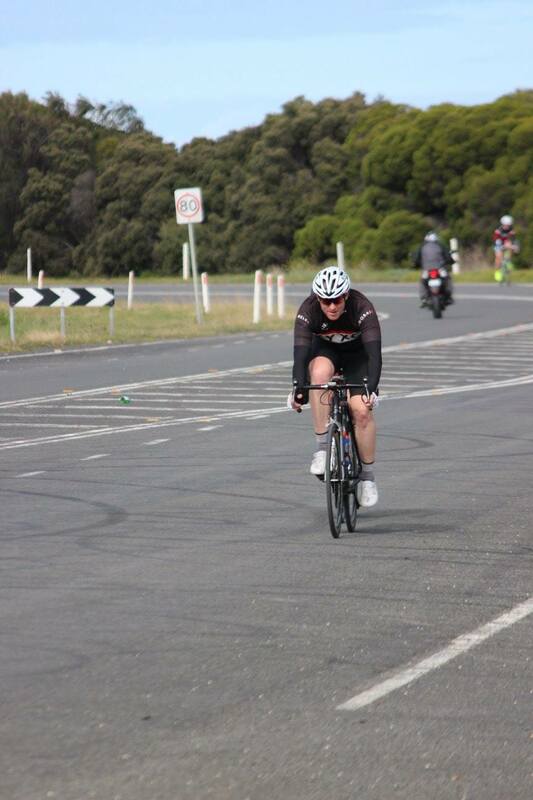 Travis carried on his strong form from a great ride in the Melbourne to Warrnambool to take the honours. Rising star of the club, Lincoln Clark finished second only a handful of points behind Travis. Lincoln successfully made a jump in grade during the series and still perform consistently to achieve the result. In 3rd place was John Miro who capped off a great end to the season. After winning the Christmas handicap John round out the season on the back of some improved and consistent form. Big thanks to the series supporters Winners Bars & Belmont Baker’s Delight. On behalf of the Geelong Cycling Club we wish everyone a Merry Christmas & Happy New Year. Stay safe of the roads while out training and we look forward to seeing everyone at the first race of the New Year on the 26th of January at the Belmont Criterium Track. The event will also coincide with the eagerly anticipated opening of the clubrooms at the facility. Keep an eye on website and Facebook for full details of the event.